Much of my adolescence was spent with a Sega Genesis controller in my hand. In the mid-to-late 90s, that made me "normal," or at least as normal as an awkward teenager can be. Like other teenage boys at that time, the time that I spent on video games focused mostly on either sports or fighting titles. As a mindful parent, I've been very careful about what I allow my nearly 12 year old son to play. While I love sharing games from the times when I was his age, fighting games is a genre that we are just getting into. Sure, he's played Injustice: Gods Among Us on the Playstation 4 because I knew that was a "safe" game to play every bit as much as I know he's not ready for Mortal Kombat X (and that, even if I thought he was ready, I'm not willing to sleep on the couch when my wife finds out that I let him play it.....which I haven't). We've also played the quirky and fun Ballz, which he enjoyed for a few minutes until its simplicity overpowered that game's novelty. Which brings us to this weekend when I came across Primal Rage for the Genesis at our local retro store. This 1994 Time Warner Interactive release was a big deal. Gamers were primarily a younger demographic back then. Fighting games had the attention of the country thanks to Street Fighter II and the controversial - yet, still at the time, fledgling - Mortal Kombat series. And the cinematic blockbuster Jurassic Park had just taken the world by storm. While I don't remember having any problems with this game when I was younger, I certainly don't remember spending much time with it either. As I played it this weekend with my son, I may have figured out why: The game is kind of terrible. I like to play all retro games that I pick up as true-to-life as I can. That basically means firing up my 19" CRTV television which, at this point, is solely used for video games. Even by the relative low bar set by standard definition, this game simply doesn't look good. The game's character design was, generally speaking, highly unimaginative and clearly a parody of the original Mortal Kombat. 7 playable characters? Check. Gratuitous palette swaps, blue and yellow? Check. One of those characters freezes opponents? Check. The inclusion of crazy, violent finishing moves? Check. That's not to say the game doesn't bring it's own identity because it does. Unfortunately, eating your dino-god's human worshippers mid-battle as you attempt to conquer all corners of the world, while highly amusing, simply doesn't make up for all of the flaws this game has mechanically. 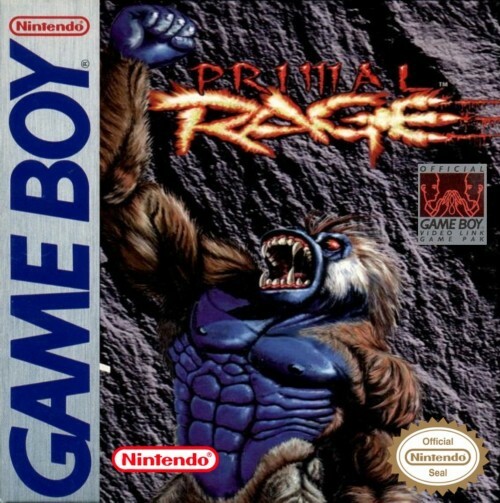 While "cheese" was in full-effect at this point in gaming history, Primal Rage took it to an entirely new level. My son, as inexperienced as he is at fighting games, was able to catch me in an inescapable, very basic tail-whip flurries on numerous occasions. That's a memory from "back in the day" that is best left as a memory. The game's control scheme on the Genesis console are among the worst I've ever experienced. Time Warner decided to invert the most basic -and logical - theories on fighting game controls by requiring that players use their attack button then directional pad to pull off special moves. This proved to be awkward on its own. Then they doubled down on the bad decision making, requiring gamers to utilize the most clumsy button combinations they could dream up. The game itself was fantastic in the arcades and playing on Sega's 6-button controller should have been a fairly simple and enjoyable endeavor. The High/Low Quick/Fierce attack layout of the buttons was completely rooted in logic and par for the genre. They simply didn't pull the port off effectively. 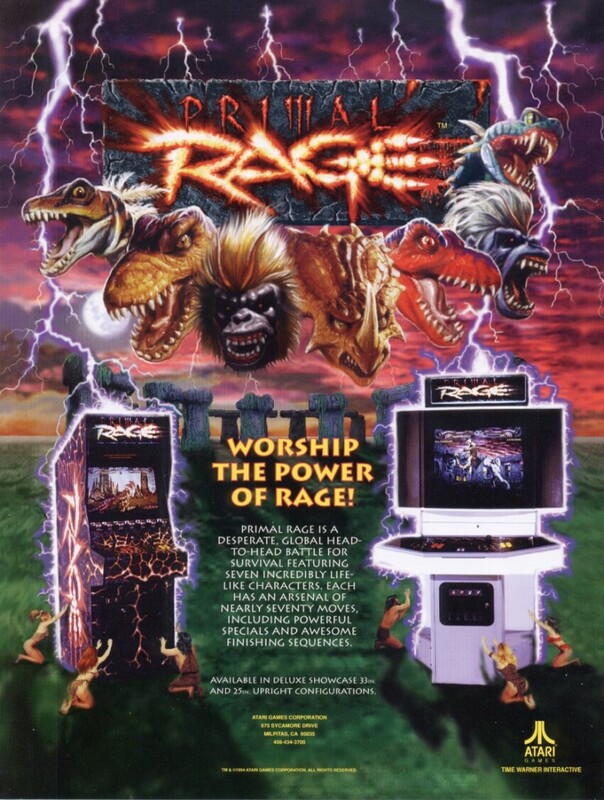 Primal Rage had the potential to be one of the greatest fighting games on its generation of consoles. 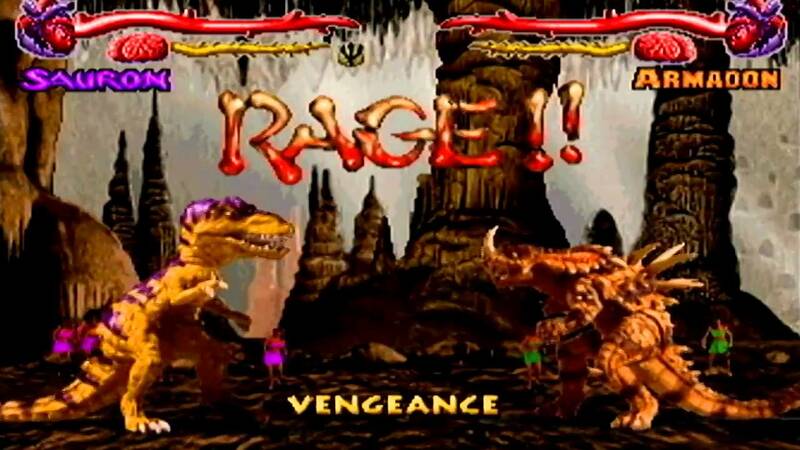 With the solid appeal of nearly every kid's first love - dinosaurs - coupled with the over-the-top attitude developers approached fighting games with at that time, this title could have entered the (dare I say "paleolithic"?) pantheon of greats in the genre. Instead, it ended up a mind-boggling, frustrating experience that I didn't miss nearly as much as I thought I might.